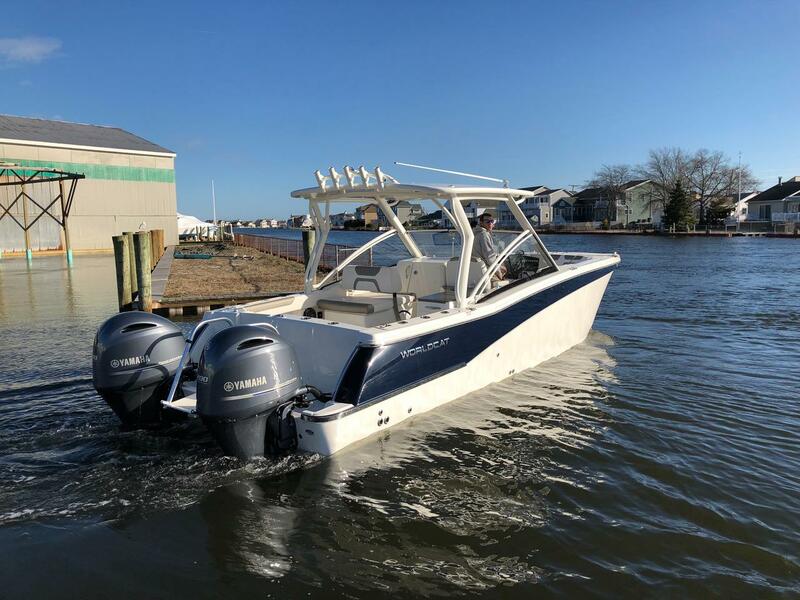 One (1) new 2018 World Cat 280 DC-X powered by Twin Yamaha 200 Hp 4-Stroke Outboards with Command Link Plus, built to manufacturer’s specs with all standard equipment plus the following options: Flag Blue 2-Tone Hull, Wiper with Rinse, Garmin 7612 XSV Electronics Package with VHF Antenna and Transducer, Livewell & Rocket Launcher, Stainless Steel Vetus Anchor, Battery Charger, Bow/Cockpit Table, Edson Wheel Upgrade, Canvas Tracking Installation, Bow Table with Filler Cushion, Flag Blue Two-Tone, Ski Pylon, and Stereo Upgrade with Speakers. Freight from NC, Commissioning, and Bottom Paint. 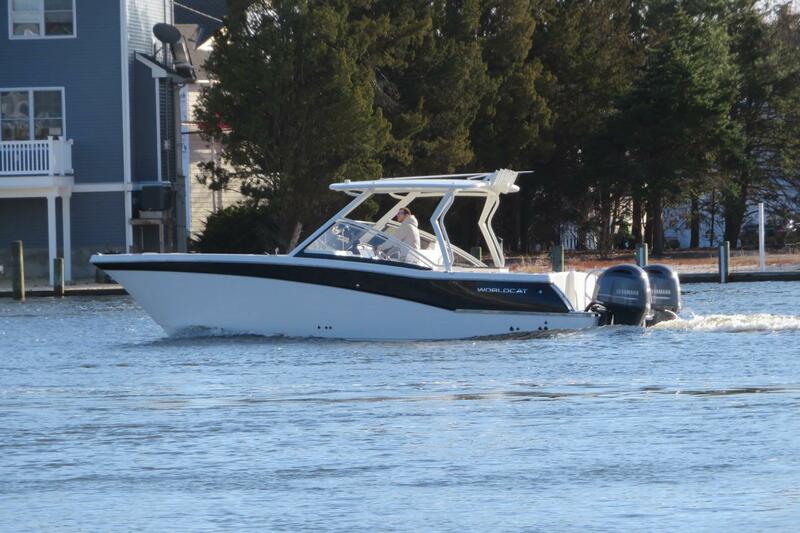 The 280DC­X is World Cat's newest entry, combining the unmatched smooth ride of a catamaran with new levels of features and versatility that only a dual console design can offer. 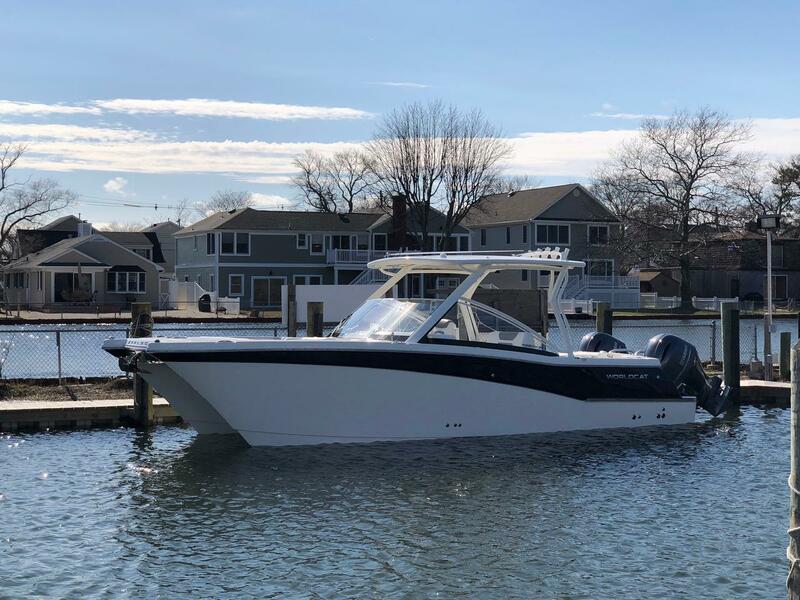 Following on the breakthrough design of the 280CC-X, this new boat loves to run, looks great, and is ready to take you and your family on whatever adventures you can cook up!